Canon has announced it is developing the EOS C500, a 4K (4096 x 2160 pixel) capable camera in both EF and PL mounts. The camera will be a continuation of the concept of the C300, will be able to capture of Raw 4K video footage and will offer frame rates of up to 120fps in compressed 4K. It will also be be able to capture 2K footage (2,048 x 1,080 pixels) at 12-bit, with 4:4:4 Y'CbCr chroma sub-sampling for high colour resolution. A prototype will be shown at the NAB broadcast industry trade show next week. Canon adds that it plans for the camera to be available later in 2012 at a target price of around $30,000. London, UK, 12 April 2012 – Canon today announces the development of a new digital cinema camera capable of recording 4K-resolution (4,096 x 2,160 pixels) video. Targeting both the motion picture and high resolution digital production industries, the EOS C500 will offer 4K RAW output and will be available with Canon’s EF mount and the industry-standard PL mount. In November 2011 Canon announced the EOS C300 – the first camera in the Cinema EOS System, marking the company’s entry into the motion-picture and digital production market. Highly acclaimed by video professionals since launch, the EOS C300 offers exceptional video quality performance, outstanding mobility, durability and expandability, thanks to its modular design and its compatibility with Canon’s range of EF and EF Cinema Lenses. The EOS C500/EOS C500 PL will be based on the same advanced platform, adding support for 4K RAW video capture, and 4:4:4 sampling during 2K capture. Supporting next-generation 4K-resolution video capture and RAW data output, the EOS C500/EOS C500 PL will achieve exceptional video results without any loss in quality. The camera’s uncompressed 4K output will unleash the full potential of Canon’s premium range of EF Cinema Lenses, combining with Canon Log Gamma, which delivers the high-quality video and wide exposure latitude required by digital cinematographers. Furthermore, 12-bit RGB 4:4:4 signal during 2K (2,048 x 1,080 pixels) video output will deliver rich colour and high compatibility with image processes such as chroma key compositing. Support for frame rates up to 120p in both 4K and 2K resolution will provide enhanced creative flexibility, enabling high-speed (slow motion) video capture in high resolution. A development prototype of the EOS C500 digital cinema camera will be on display at NAB 2012, one of the world’s largest events for the video, broadcasting equipment and digital media industries. NAB 2012 will take place from April 16-19 in Las Vegas, USA. What is the 4k raw file format? MXF? Can I edit it with FCP? Where Can I see some footage. IE: low light stuff, exposure differences. the stuff that matters. side by side compares. No kidding about it, either. Good thing this Canon camera will hopefully OUTPUT 4K and 2K resolution video signals. Now, all you need to find is a good quality Canon 4K or 2K external video recorder to connect to your C500. Easy as peasy, hopefully. Don't forget those nifty $45,000 Canon EF-mount "cinema" zooms for your C500, either. 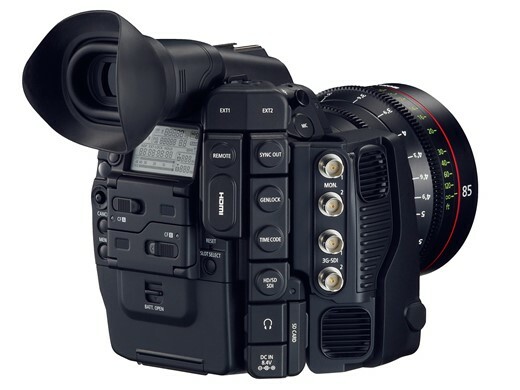 Basically with the C500 body, the recommended Canon cinema primes and zooms, and the connected recorder that does not yet exist, you are going to be ready to shoot video at the $150,000s price point, if all goes well. Whats our total? $79,000. Looks like we are still why under budget! Actually, Isn't that about what an Alexa starts at, body only? Maybe its like 60K. A Francis Rant again. The man has no common sense when it comes to cameras. Give him a £29 P&S and that will keep him happy. 4:4:4 is not really a form of chroma "subsampling"; on the contrary, it means chroma is sampled at the same resolution as luma. I guess if they're going for YCbCr that means they won't support uncompressed output at all (YCbCr allows better compression, but since post-production is always done in RGB, uncompressed video with full chroma sampling is generally stored in RGB, to avoid unnecessary conversions). The way I read this latest one of just this week's Canon camera announcements, this thing will be OUTPUTTING high quality 4K and 2K video via its BNC and HDMI output ports. Just not being able to RECORD high quality 4K and 2K video, right? Anyone?? So... you will need to connect to it a high quality 4K or 2K external video recorder. Good luck with that workflow and equipment budget, everyone. What will it record INTERNALLY, using what codec and what bitrate? Wait for the follow-up announcements from Canon, folks. Mr Carver or who ever you are, I've noticed you a lot in these forums and you never have a good word to say about Canon ever on any of their products. Now that's your prerogative and I'm not asking you to stop. I'm just curious to know, what do you have against Canon? What have they ever done to you? Well, other than selling me a camera with a defective lens way back, Canon did not hurt me much over the years. But at any time a company comes up with this much hyper-bull inside of a few short days, we should certainly make them know that we can see through their charade. I will be at NAB Las Vegas next week, and I will make triple sure not to waste any of my limited time at the Canon stand, looking at some mock-ups parked behind glass cabinets. I already know all the bull... err, "press releases" from them. Wasn't the RED Scarlet development announced in 2008 and finally the product in 2011. So it seems that announcing development of future products in the digital cinema market is standard practice. How many "consumers" are going to buy this? Canon EF-mount "4K capable" digital camera available for pre-order at a price of US$30,000. Problem with that is, the competing Red de-facto 4K cam is around $10,000, and the soon coming Sony NEX-FS700 "4K capable" camera is only $8,000. Canon is pricing their non-existing wares as if they were an actual player in this lofty 4K area, but they are clearly not. Nor are they the darling of Hollywood filmmakers, sorry. Francis, your right. I'm sure Canon wont sell any of these Silly little C500's. Sort like they didnt sell any C300's. oops, I mis-spoke. I forgot Canon has a back order of around 2000 C300 units still. Looks like Canon is doing a firmware upgrade to their largely unsaleable C300s and calling it the C500, or what? They are "announcing the development" of a camera???? Gee-whiz, it seems like a million years ago when companies made products and brought them to the marketplace. With Canon at least, it is all just hot air and b.s. galore. Where do you guys get your information?? Its actually hilarious! I dont come on forums much (Now I know why).. Just to set your comment straight Francis..Again. Go try and buy a C300. all you can do is put a deposit down and wait.. They cant keep them on the shelves. There is a huge back order. Do I need to define the work "back-order" for you.. lol! Obviously you dont keep up on the Cinema market much (why would you? ), otherwise you wouldn't be making such stupid comments. Also, if you would have spent much time at all at the Canon booth at NAB you would have saw all the "hot air and B.S. galore" on their new 4k cinema display. C500 4K footage on a 4K display. Pretty Sweet! But you wouldnt know because you have nothing to do with the Cinema industry. Cheers! 4k RAW is to video what a freight train or ocean tanker is to transportation. It's not anything even a prosumeror "indie" can handle, without substantial investment in ancillary equipment. The incremental benefits of capture in RAW are difficult to translate into benefit for usual projects (see a Luminous Landescape test), though perhaps relevant to Dreamworks Studios or a high budget ad firm. With hardly any 4k displays outside of commercial theaters, the main attraction of 4k might be to crop video shots the way still photographers do all the time. I've read no user review to date of the $5k JVC camcorder that shoots compressed 4k. It may not even be on the Zacuto radar screen. 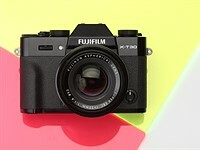 I doubt the T4i or D5200 will offer 4k video. Might the GH3? At this point in time, wider use of 1080p60/50 video may be challenge enough. 4k uncompressed video would indeed require very fast and large drives. Depending on the type of compression, however, it can be quite easy to handle. REDCODE files are typically around 40 MB/s, which any modern SATA drive can handle. I agree the 4k resolution is generally wasted (with most screens and projectors being HD or, at most, 2K), but a 4k sensor will often produce better 2k images than a native 2k sensor (even with good de-Bayering), so buying a "4k capable" camera to shoot 2k can be a good idea. As to raw vs. sRGB, the benefits are absolutely obvious to anyone working in cinema / broadcast. I've seen several hours of footage that would have otherwise been lost saved in post thanks to the extra range of raw files. Obviously, for home videos or live broadcasts it's kind of wasted. C300/500 are aimed at different market than 1d C.
The former are to indie and hollywood productions, the last to the new photo-video reporter that is where the reporter profession is going. In effect they are developped with ergonomics that fit these different users. 1D C is not aimed at photojournalists, they are the last to need 4K. How are you going to send 4K files form Afganistan, and who is going to use them and for what? Simply put this camera is just a convenient and available housing for a 4K capable sensor and electronics. The buyer will provide the ancillaries and lenses for movie productions. Buyers will be production houses/rental outfits/rich hobbyists. Post workstations top out around $4k without adding a bunch of fluff that doesn't really boost performance. Indie productions and pro productions are going to hit the same wall for 4k before either of them is really squeezed for money. Pretty sure Nikon will have something like this over the next few years... they DID invent dSLR video (Nikon D90) after all. Who knows, maybe they'll have it before the C500 comes out. One thing these camera needs is power zoom. This would be immensely useful for ENG cameramen, so you don't need a separate focus puller. Nikon didn''t invent DSLR. And Nikon won''t have something like this Cinema Camera. Nikon don''t have sensor production. So, Sony will have smth like this. F65 is already cool, but somewhat big and heave. "they DID invent dSLR video " >> "Nikon didn''t invent DSLR"
Canon's brain trust is out in force. 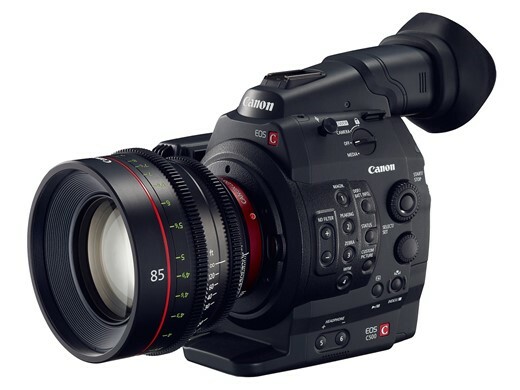 Canon will not be able to dump any more of these C500s on us than they are able to dump their C300s on us. If they will have a C500, then why make a separate announcement about a 1D C? If they will have a 1D C, then why make a separate announcement about a C500? Not only Canon's left hand does not seem to know what its right hand is doing -- it seems to me that somebody had chopped off both of their hands. They seem to be in the camera announcement business... instead of the serious camera business. bfds89gd looks like spam....get off this site! Mouse over the LIKE box to get the option to "Flag as inappropriate". The admins do take these things down when notified. Yes, those are the markets for such cameras; but not for big movies. The benefit of such cameras is reducing the production costs. But I'm doubt if it will success in the rental market. No way to consider this camera for heavy invested movie productions. Will you take the risk by not using Arri or Panavision? Canon is rapidly making inroads into the cinema camera market, much more so than most expected based on the technical specs of the C300. It is difficult to predict how the studios will react, but they embraced RED more quickly than expected (and RED was a far more unknown quantity). I think both Canon and RED can serve the low-budget productions; the market is still here. But not for high-budget productions. Okay, now I am back to being confused again after reading your other response. EDIT: Okay, I see you posted this before you posted "There is no doubt that RED is doing a good business recently. What I'm talking is the mainstream of the movie productions are still in favor of Arri and Panavision." Incidentally, there are things about the Alexa, Panavision and RED offerings that would make each the most attractive choice for me on particular projects. In the case of Panavision, the top of that list would be their 300x optical zoom for 2/3 inch cameras. Frankly speaking, what I'm most interested in Panavision and Arri are still their film cameras. Of course, up to now, there is no company other than Arri and Panavision can provide a full range of systems for movie productions like what they are now offering. Unfortunately, film will eventually fade out, both Arri and Panavision are not in 4K now (may be they will upgrade their 2K cameras to 4K soon). The only choice available today is RED and SONY, but RED is still not in the high-end market... So the only choice is SONY F65. I think why do people like F65 so much is due to SONY's cooperation with Panavision in the past, and a lot of their camera design was influenced by the Panavision systems. The Hobbit is being shot on Red and has a $500M budget. "Canon is rapidly making inroads into the cinema camera market"
Pasadena, thank you! You cracked me up with this classic quip, really you did. The only "inroad" Canon is making is into the poor-house. Nobody serious will be using their "EOS cinema" cameras for anything cinematic and/or serious, I predict. Actually, look how many blockbusters are produced on RED. That gear is rather high-end. I wouldn't agree that F65 stands a better chance. Anyway, HD is a DV format of today, not tomorrow. Even iPad 3 has higher resolution than HD. It will take a couple of years before 4k becomes a standard. Canon will definitely reduce the price of 4k dlsr as for now it's not a competitor for Scarlet or Epic. Arri? Panavision? Anyone pushing the edge is far more likely to be using Silicon Imaging or even Red. The real strength of Arri and Panavision is in the accessories and lenses, and there are adapters to use them on other cameras. Their sensors and interfaces are nothing special. Typical Canon: WE'RE WORKING ON IT! ANY DAY NOW! "Stay tuned, Canon Lovers Worldwide. Will be making 4 or 5 more announcements on it -- before the announcements about when/if the actually finished camera will be shipping (if/when)." Its funny no hypocrite is saying anything about buttons on this thing now. Few days ago when sony released something I could read page full of comments about how it had so many buttons. I am not sure which camera is uglier, Sony NEX-FS100/700 or Canon EOS C300/500. But the Sony-cams definitely have much more (and smaller) buttons on them. This is something that Nikon has to follow. Nikon has never made a dedicated video camera, why would they start now? Nikon is not trying to compete with the C300 or the C500, not should they. They make great still cameras that are video capable. In near future, there will be no difference between video and still camera. If someone will make a full frame 24fps / 36MP camera, will you call it a still or a video? Nikon is not that stupid to think the video is an additional feature of a still camera. You're missing the point, Nikon is a nobody in pro video, hoping to get their toe in the door. The C500 is intended to compete with higher end Arri, RED and Sony cameras, i.e. the real pro competition. It's almost funny, all the trashing that was going on when people were doing D800 / 5Dm3 comparisons, not realizing that Canon had new cameras on the way that play the game on a whole different level than Nikon (for video). RED is a leader? What kind of leader? If you have sufficient budget, will you use RED? Everyone would tell you the right choice is Panavision, Arri or Sony. I must respectfully differ with you, Edmond Leung. 20th Century Fox, Warner Bros and even Sony all have blockbusters in production using RED cameras, and Disney already released one. Their cameras were picked (or at least employed) by Rob Marshall, Bryan Singer, James Cameron, Ridley Scott, Peter Jackson and Marc Webb. In the case of Sony, not only did they have the budget to use another camera, there were initial suggestions by the company to use something from the in-house line-up (at least based on comments Marc Webb made). He chose RED. Am I saying that the RED cameras are better than the competitors you mentioned? No, I am not addressing that. But they have clearly become a viable choice when a quick survey of the upcoming blockbusters sees more films with them than without them, an area where we usually see the largest budgets. There is no doubt that RED is doing a good business recently. What I'm talking is the mainstream of the movie productions are still in favor of Arri and Panavision. Ah, that is different. I misunderstood what you meant by "If you have sufficient budget, will you use RED? Everyone would tell you the right choice is Panavision, Arri or Sony." I got the impression that you meant the higher the budget, the more likely that those brands would be used, as opposed to that those brands were very popular in professional production. In that case I have no disagreement - Arri and Panavision are very popular, especially in the TV market where RED cameras have had much lower market penetration. Nikon cannot make cinema cameras. Nikon don''t produce sensors. No need in Nikon cine cameras, because Sony makes them. I wish Nikon resume the production of film scanners. That what Nikon is capable of. "This is something that Nikon has to follow." They better not -- if they have any brain. And compared to Canon and their announcements lately, they must have a lot of brain still left intact. "The C500 is intended to compete with higher end Arri, RED and Sony cameras, i.e. the real pro competition." Canon can "intend" all day anything they want, these "EOS Cinema" cameras of theirs are mere dwarfs compared to the makers of real digital film cameras you had just listed. I would also put Vision Research and their various model Phantoms into that latter group. What a monster! Wow. Hahahaha. She ain't the prettiest thing that ever walked down the pike, that's for sure. It's a way of handling the colors where the resolution is higher for one of the three channels than for the other two. Typically this means a higher resolution for green than the other channels, with the other channels being interpolated to compensate. DSLRs normally use the 4:2:0 method for their video recording. Just to clarify, 4:4:4 blows 4:2:0 away. PP is incorrect. Video is not RGB it is Luma + 2 chroma vectors. You can pitch chroma data with less effect than luma. So think of it as making the chroma pixels bigger than the luma pixels. No chroma subsampling = 4:4:4. Briarwoodsman, I have no intention of getting into an argument about it nor do I consider myself an expert on it. I am only saying that the language of the link you present is not the only way of looking at the topic. Here is another one from a technical officer at Panavision that influenced the wording of my original post. Note the display image used in the presentation for 4:2:2 or 4:2:0 sampling. Everything I Always Wanted to Know About 4K (But Was Afraid to Ask). Thank you ! This kind of body makes a lot more sense for the intended market than the newly announced 1D C.
I agree. It will be interesting to see how big a deal the absence of a RAW recording format will be for that market, or whether people opt for cameras with even high FPS options, but this certainly seems like the best Canon option by far. Unless someone strongly prefers the APS-H crop used for 4K on the 1D C to the Super35mm 4K on the C500. Just to clarify - I meant to say how big a deal the absence of a RAW recording format on the Cinema 1D would be (as the C500 does record 4K to 4:4:4, even if that does not guarantee the flexibility that most associate with "RAW" recording). Canon "EOS Cinema" C300 is a "slow seller," to put it mildly. So, why would anyone pay double for the C500 than for the C300 then? EOS C300 in the $5,000 to $8,000 is probably salable in smaller quantities, and for the C500, the sweet spot might be around $15,000, tops. AT the crazy prices Canon is fantasizing about lately, they are pricing themselves out of the marketplace. The C500 is trying to compete with the F65, Arri Alexa and RED Epic. In that market, the price speculated undercuts the competition - it is just plain a different market. Only the Cinema 1D suffers from odd pricing. And despite the price, the C300 appears to be selling better than most of use would expect. Personally, I would be more likely to spend the money on a Scarlet, but to each their own. I have no idea what this thing does but seeing it, along with Canon's other announcements makes me think that maybe the D800 won't put Canon out of business after all. Even without the Video cams. Canon didn't put Nikon out of business when it had the far superior sensors from 2003-2008, and Nikon isn't going to kill Canon now. They pretty much trade 40 and 35% market share depending who has the current hot products. Like most people that buy a D800 will know what shadow DR even means or will care. It's 36MP enough said. And most 5D III buyers won't care about lack of shadow DR either, if they've even heard of it. Didn't you know? Price is inversely proportional to the amount of buttons. This is why Leicas are so expensive. Gentlemen who own Leicas have finer things to appreciate than oodles of buttons. The best can afford to hire "help" to do the driving, cooking, housework, childcare, camera operations, and other drudgery. Really, though, the buttonss are there because the user can find them more easily than by navigating a labyrinthine screen menu. Usually there are a few tools or effects one uses all the time, and it's easier to remember where the button is an hit it fast, rather than peer into an LCD and wander through a menu you cannot even see in the sunlight. Did I miss the expected price for this? It's a product development announcement, not a launch - probably too early for a price to be worked-out. The ceiling would be low enough to make it attractive compared to a RED or film. The price of the camera, per se, is usually only a small consideration in the production cost. Thus Canon could set the price of the camer relatively high, if it offers economies of workflow that lower the overall costs. Canon has now said it's aiming for around $30,000. At $15,000, maybe. First they gotta drop prices on their C300s from unsupportable $16,000 to somewhere in the $5,000 to $8,000 range. That way, the Canon EOS C300 will be in the company of its actual product competitors -- Panasonic AG-AF100/101, Sony NEX-FS100, and Sony NEX-FS700. Consider also that Canon probably expects you to buy them in pairs -- one with the EF-mount and one with the PL-mount, see? This is an interesting product. Man the PL market is so crowded nowadays, any have any idea how well the Canon PLs have been selling? I'm wondering how the Canon PLs compare to the ZeissPLs. Unless the Canon's are insanely great, I would think you'd rent a matched set of Zeiss PL or Cooke Pancros. Canon is last to the table in this game, and good luck to them selling their lenses for about the same prices that the existing PL-mount cine-lens brethren sells theirs. Finally one with HighSpeed recording. Price indication ? Supporting LANC ? Instruction manual (C300/C300PL) page 15, subject 19 talks about remote terminal for connecting commercially available remote controlers. What does that mean Canon ?